It's clear you've all been busy writing - we've been flooded with submissions at Rate Your Story this month. And many of them have been really, really good! We now know that many of the 400+ writers participating in Julie Hedlund's 12 x 12 in '12 Picture Book Challenge have found Rate Your Story. Welcome, #12x-ers! Your manuscripts are looking great! Switching to a bit of important news, Rate Your Story founder and site administrator Miranda Paul is packing up and heading out of the country to build libraries in rural villages in Africa. While that's very exciting (and you can read more about the project on her blog), it does mean that Rate Your Story will be closed for free critique submissions for several weeks in Feb/March. Please mark your calendar: From Feb. 8th - March 8th, Rate Your Story will be CLOSED to submissions. If you submit during that time, your manuscript will be held and not opened until after March 8th for a free critique rating (which will come a week or two after that date). Translation = if you've got a manuscript that needs a free critique now - send it now! To view Rate Your Story submission guidelines, click here. While Miranda's gone, although submissions will be closed, Rate Your Story will be posting author and editor interviews with our wonderful panel of volunteer judges. So there's still reason to stop by in February and March! You can learn a little bit about each judge now at our professional critiques page, but when each interview is posted you'll get the chance to learn a lot more about them - plus writing tips and advice on writing well and getting published. Make sure to follow Rate Your Story or bookmark us so that you won't miss out! Children's Author Lori Degman Joins Rate Your Story! 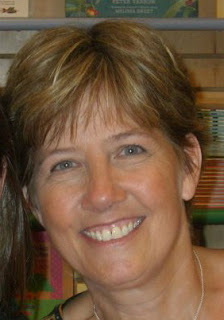 Meet Lori Degman, our newest volunteer judge at Rate Your Story! Lori Degman is a master-rhymer! Lori Degman is a picture book author and teacher of deaf and hard-of-hearing students. Her first picture book, 1 Zany Zoo (Simon and Schuster, 2010), was the winner of the 2nd Annual Cheerios New Author Contest! She writes mostly in rhyme, sometimes in prose, and always with humor. “I love helping writers with their rhyming picture book stories," she said. "My professional critiques include comments on all aspects of the story, as well as a line-by-line review of both rhythm and rhyme.” Learn more about Lori’s critique service on her website: www.Loridegman.com. Are you a published storywriter or editor who wants to be a judge at Rate Your Story? Visit our Volunteer page to learn more! Rate Your Story is OPEN for Submissions Again! Rate Your Story is a free website where aspiring authors (or published ones looking for a first-glance review of their unpublished work) can obtain a critique in the form of a rating and sometimes additional comments. If you've got drafts, we've got numbers (and our two cents, usually). But the best number of all is that we do this as volunteers - you don't pay for us to Rate Your Story. NOW...before you submit...please read our submission guidelines. Also, we encourage you to read our original post and our about us page so that you understand what Rate Your Story is and isn't. Lastly, if you've already received a rating and want a more in-depth critique from a professional writer, please take some time to learn about the writing and editing services offered by each of our volunteer judges.